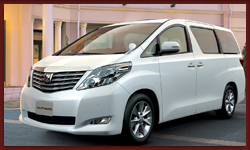 Hong Kong Cabs Service provides limousine and cheap Luxury Van service with professional English speaking drivers. We primarily service the business travel market and thus fully understand the importance of a quality, on time, service.but is mainly sought for Hong Kong airport transfer, cross-border Luxury service and other short-term hire luxury Van transportation. All drivers at Hong Kong Cabs Service speak English and Chinese have been professionally trained to a high standard as well as having a great deal of experience and excellent driving records. relocation solutions through out Hong Kong, Hong Kong Cabs Service is a trusted and reputed company in the movers and packers industry.